City Harvest Church isn’t just a single church in Singapore — it has a network of affiliated churches and associates that span some 14 countries. 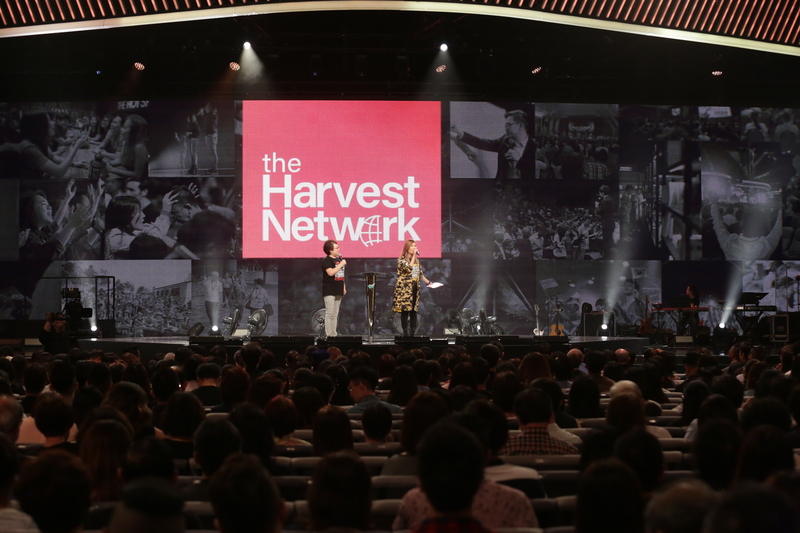 This past weekend (13-14 October) at CHC 29th anniversary celebrations, The Harvest Network was launched. The Harvest Network (THN) is a community of churches and ministry leaders connected to City Harvest Church in Singapore, through the leadership of the church’s senior pastor Kong Hee. THN exists to bring together like-minded churches and ministries to pursue a fresh revival of the Holy Spirit. By providing discipleship, training, and consistent spiritual guidance to pastors and key leaders of churches affiliated to CHC, THN aims to help these pastors to understand and live out the fullness of God’s plan for their lives and ministries. Application to join the network is by invitation only. “As City Harvest Church and The Harvest Network of affiliates and associates, our desire and focus must be to stay faithful to God and to the legacy that has been built by the man [Kong Hee] appointed by God,” says CHC’s executive pastor, Sun Ho. Bobby Chaw, CHC’s missions director, says that he hopes THN will achieve three things for the affiliate churches: first, that the network will be an environment for communication and connection. Second, that it will be a channel to communicate key church policies and provide resources. Lastly, the network must be a platform to preserve God’s grace and mandate. As many nations invited to join the network are from different parts of the world, THN has plans to organize The Harvest Network Regional Summit once every two years, each time in a different city. The summit will be a time for pastors and key leaders of the affiliate churches in that particular region to meet and recharge. At a luncheon held for the overseas delegates on Oct 14, two pastors shared how CHC had helped them to grow over the years. Yoji Nakamura is the senior pastor of Kumamoto Harvest Church in Japan. He started the Kyushu Christ Disaster Relief Center with a few other pastors when an earthquake hit Kumamoto in 2016. He admitted that the hectic relief work gave him tremendous stress. On top of that, his own house was in a broken mess, and shortly after, his father passed away suddenly. But God reminded him of how he managed to bring the love of God to Onagawa town when it was destroyed by the tsunami. Pastor Yoji pressed on and the relief center is now an inter-church organization sending teams to help other parts of Japan whenever natural disasters hit. He thanked CHC and its leadership team for constantly lending their support and giving him encouragement. George Tiong, the senior pastor of Kuching Harvest Church, shared that in 2004, he was very inspired by Pastor Kong‘s message on building a strong local church. At that time, he was enrolled in a fast-track pastor’s course in CHC. His church was facing a crisis but God opened a door for him, and his church joined CHC as an affiliate church. The church found its direction and started cell groups and youth and children’s ministries. From 2005 to 2009, the church grew to over 800 people. Even though the church faced many challenges since 2010, it has continued to grow steadily. Its various church events bring more than 350 people into the Kingdom of God every year. Monday, October 15, was the final day the conference. Delegates met in groups to discuss various aspects of the affiliation and strengthen relationships. The conference concluded with Encounter Night, a service that gathered conference delegates and the local leaders and pastors in a time of deep worship—a time of refreshing for all the attendees before they returned home to their own churches.